A new report highlights abuse in holding cells controlled by Venezuela’s national intelligence police, offering a rare glimpse into the workings of the country’s notorious state apparatus. The investigation from the Venezuelan group Window to Freedom, a non-governmental organization that defends prisoners’ rights, found evidence of overcrowding, torture and illegal detention in two prisons administered by the country’s national intelligence service, SEBIN. In the Helicoid prison in the capital Caracas, where most inmates are detained for “political reasons,” overcrowding is so severe that prisoners are forced to take turns sleeping. They are not separated according to age, the gravity of their crimes or the stage of their investigation proceedings. Many cells lack access to bathrooms and clean water, obligating inmates to coexist with their own excrement and providing a breeding ground for disease. Political prisoners interviewed by the report’s authors testified to the various forms of torture they suffered at the hands of authorities, including electric shocks, harsh beatings with bats and chemical drowning in ammonia or insecticide. Many were forced to shout slogans in favor of the Venezuelan government under the threat of violent punishment or prolonged detention. “In SEBIN’s prisons, different types of physical and psychological torture are employed without any mechanism of internal or external accountability,” the report concludes. Venezuela’s intelligence agency conducts unlawful detentions by routinely failing to send custody notices to the Attorney General’s Office — the body that records criminal offences — and continues to hold prisoners illegally even after release orders have been issued. Agency officials behave as though their actions are “above the law,” shrouded by the cover of “permanent confidentiality,” according to the non-profit. News that Venezuela‘s prison system has serious human rights problems is nothing new. And the poor penitentiary conditions have also given birth to a new forms of organized crime. But the focus on SEBIN’s tactics and holding cells, which specifically affect political dissidents, is evidence of the risks run by those who speak out against the regime in today’s Venezuela. The opaqueness surrounding the arrest and detention of anti-government voices is an intimidating prospect even for the most zealous of anti-government activists. This latest report provides a rare window into the workings of the secretive SEBIN, and it suggests that abuses by the police force are consistent with the repressive tactics employed by military and police forces. 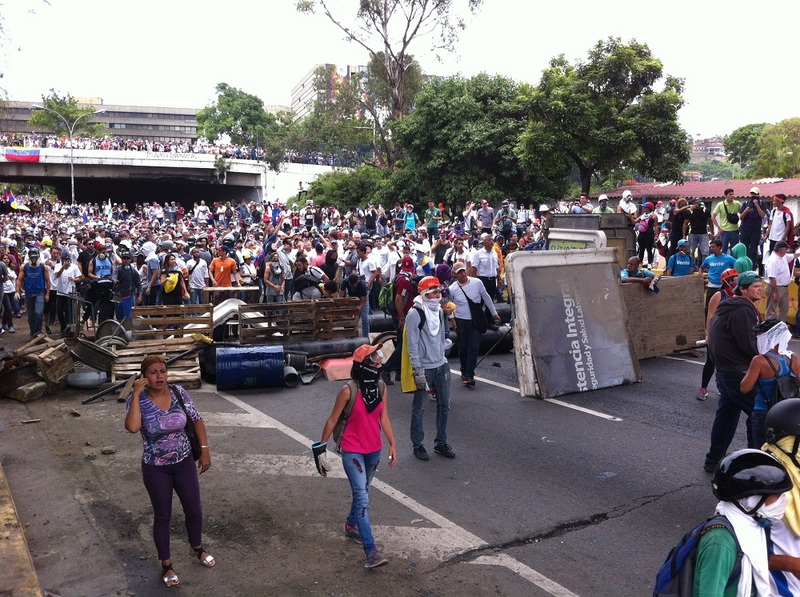 This has been especially visible in recent months, as government forces — mainly the National Guard — have been behind many of the deaths of protesters killed during anti-government demonstrations that began in April. Police brutality has long been a defining characteristic of Pres. Nicolás Maduro’s time in office, and was a problem during Hugo Chávez’s administration before him. Chávez created SEBIN in 2010 to replace the previous intelligence police, known as the Intelligence and Preventive Services Directorate. And despite the fact that it was a civilian intelligence body, he staffed it with members of the military from its inception. Many of its members consider themselves on the front line of the defense of the revolution, and are prepared to do government “dirty work” that violates legal restrictions. The militarization of SEBIN reflects the general deepening of the role and control of the military during the current regime. The armed forces are arguably now the strongest pillar supporting Maduro’s government, a trend that is only becoming stronger as the Venezuelan government clings to power via repression. Concerningly, the increasingly influential military is benefiting from a number of criminal markets as chaos in Venezuela deepens, including black market food and medicine trafficking, the contraband fuel market on the border and drug trafficking.